We simply can’t thank everyone enough for another amazing turnout for Mukwonago’s Midnight Magic here at End of the Leash! We’d love to share some short video clips from our live music with Eric Darnell, and from several of our food company reps (links below). A great time was had by all! Here are links to MORE great clips from our food reps during the Midnight Magic event! It’s still early in the month…come and stock up on bags of Fromm’s Flavors of the Month that are on special! This week the HAWS Pet of the Week is Cleo! 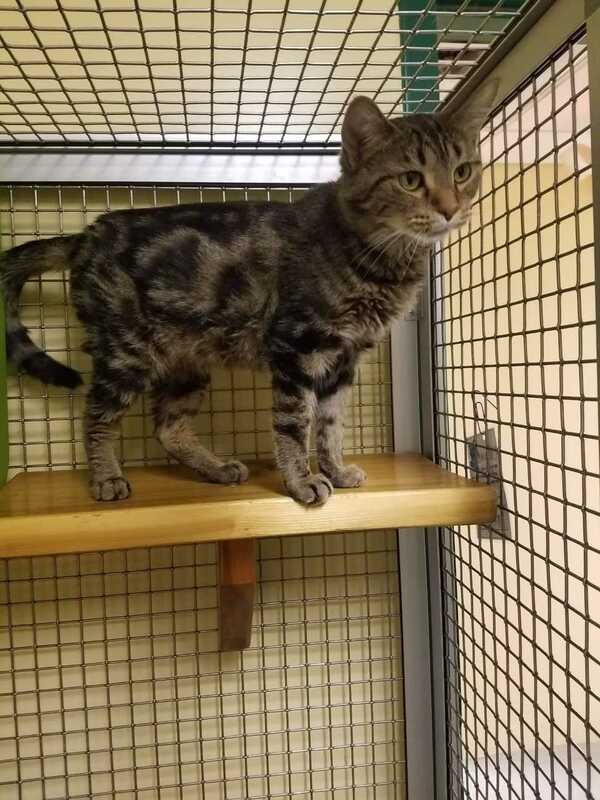 She is a one year-old tabby, domestic short-hair cat. When she arrived at HAWS as a stray, we were worried she wouldn't make it. She was emaciated and listless, but her will to live was strong! After being tenderly cared for by shelter staff and her foster family, Cleo is now looking for a forever home. This kitty is super affectionate! She wants to get close and cuddle and also loves to play. She is extremely outgoing with a purr that she produces on contact! Homemade Pet Treats--A Fun & Easy Gift!